Addomed is based on a decade of experience with clinical quality services. Addomed follows its ICH and EU Directive compatible SOPs. Addomed is able to deliver required outcome of the projects within the ultimate quality. Full data management services for all types of studies. Training courses can be customized to suit individual client needs. Based on a decade of experience with clinical quality services provided to external clients, Addomed can develop and follow a complete auditing programme as well as only particular auditing services. Addomed follows its ICH and EU Directive compatible SOPs but is able to operate also under the client’s Standard Operating Procedures (SOPs). QA system ensures that required quality level of tasks and results is attained during performance of clinical trials and other activities of the company. The basis is given in Quality Manual. Working with different pharma companies and CROs (Actelion, KCR, BI, GSK, Jansen Cilag, Chiltern Sandoz (Lek)) and considering different monitoring strategies we are able to plan an intelligent and effective project specific concept which fits your needs. Addomed provides full data management services for all types of studies – medicinal products and drugs, medical devices, from routine phase I trials through to large and complex phase III trials, as well as non-interventional studies. Training courses can be customised to suit individual client needs. Addomed is ready to share its long-term experience in clinical research either with the beginners in this area as well as with the experienced members of the trial teams. We have experience from various audits performed for external clients for sites based in USA, UK, Europe (Belgium) different CEE countries (Russia, Croatia, Slovenia, Serbia, Macedonia). Beside sponsor’s trainings, our QA has been trained on ISO 9001 quality system and passed several Barqa and Brookwood Academy courses. 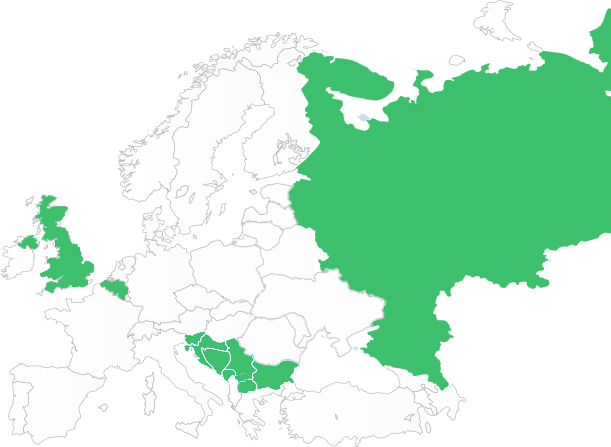 Addomed can help you cover your QA, monitoring and data management needs in the region of Central and South Eastern Europe. Our services can be adapted to suit the size and scope of the project, as each project receives the same level of attention to detail and commitment in order to ensure the delivery of a high-quality outcome, within budget and within the agreed timescale.